Are you looking for a gift for someone, cooking for your friends or family or needing a spa or a massage? 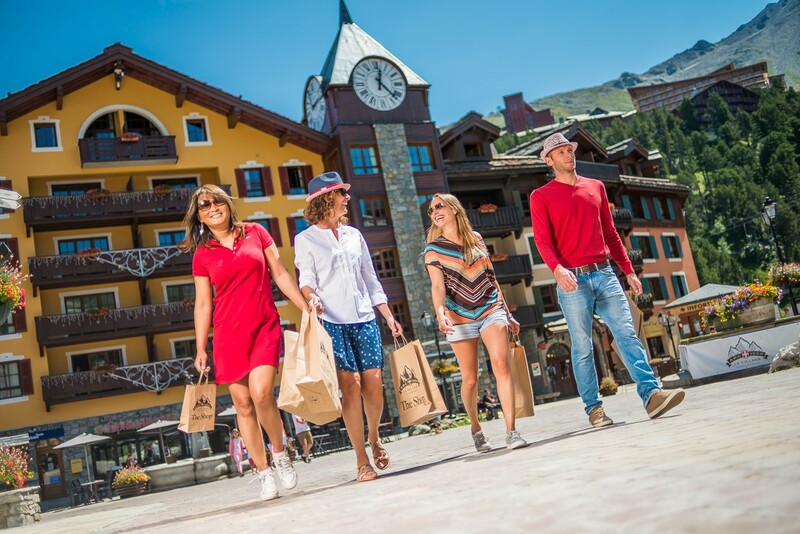 Even shopping in the Village of Arc 1950 contributes to the unique experience of this exceptional resort. The thirty or so boutiques, restaurants and pubs meet all your needs, in an idyllic setting with a view of Mont Blanc! You can take part in a fitness session before trying some of the local fare, going into the chic sportswear boutiques, meeting up with the children at the swimming pool and relaxing with a view of the surrounding mountains. In the evening you can enjoy a meal at the apartment made with food from the village grocery stores then go out for a drink at the lively Irish pub. There is a great choice of things to do so everyone can write their own programme in Arc 1950, Le Village!